REDHILL, United Kingdom, February 28, 2019 /3BL Media/ – The UK’s tidal stream power resource is estimated to be 15 gigawatts (GW), 25 per cent of the country’s typical peak need. Through projects like the Morlais Demonstration Zone Black & Veatch is helping the tidal energy sector realise this potential. Black & Veatch has been awarded the Morlais Design Services Contract. The role includes designing the infrastructure connecting tidal arrays to the National Grid, as well as other support to bring the project to construction tender phase. The Morlais Demonstration Zone - off the northwest tip of Anglesey, Wales – is managed by Menter Môn, which leases areas of the seabed to developers for the construction of tidal arrays. “Tidal energy’s potential is significant, but the infrastructure is still developing. Demonstration zone projects such as Morlais are crucial stepping stones in helping marine energy reach maturity and commercial viability,” commented Robbie Gibson, Black & Veatch’s UK director for renewable energy. Morlias has the potential to generate 240 megawatts of tidal energy. By sharing costs such as planning, environmental consents, and grid connectivity, the demonstration zone gives developers a de-risked environment in which to assess and optimise the array-scale performance and reliability of tidal generation technologies. “The intermittent nature of wind and solar energy is a challenge to the uptake of renewable energy, but tides rise and fall every day. By helping de-risk the development of tidal energy, we are helping the UK establish a more reliable source of renewable energy,” Gibson added. The value Black & Veatch’s growing team of renewable energy consultants will bring to Morlais includes experience gained from the company’s project management and technical advisor roles in the Energy Technologies Institute’s Tidal Energy Converter programme; and their support for the MeyGen Tidal Array – the largest in the UK. At Morlais Black & Veatch’s role includes all of the engineering design required to bring the project to construction tender stage. This encompasses designing cabling, substation, transformer and switchgear assets needed to bring power from the seabed, across Anglesey, and to the local grid. In January 2019 UK energy regulator OFGEM has awarded its latest Renewable Electricity Generator Audits contract to Black & Veatch. Globally, Black & Veatch has supported the development of 25 gigawatts (GW) of solar energy and 26 GW of wind energy. Menter Môn is a third sector social enterprise delivering projects across North Wales. 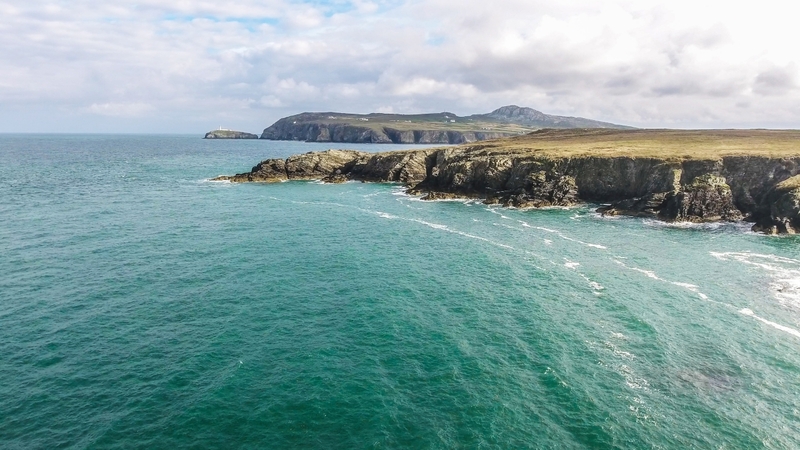 Morlais Marine Energy was established by Menter Môn following its appointment as the Managers for the West Anglesey Demonstration Zone by The Crown Estate. Morlais aims to benefit local communities, the economy and environment through renewable low carbon energy generation. The first stage of the project aims to secure consent for the development of the demonstration zone, with community consultation a key part of this. Submission of the consent application is planned for July 2019. Subject to achieving consent, the second stage aims to put the necessary infrastructure in place for developers of tidal stream energy converters to test their technology on a commercial scale. With funding support from Welsh Government, Welsh European Funding Office (WEFO), Isle of Anglesey County Council, Nuclear Decommissioning Authority and the private sector, Morlais has the potential to scale-up over time to a maximum electricity generating capacity of 240MW. Menter Môn is a social enterprise which works across the north of Wales to deliver a range of regeneration, environmental and cultural projects for the benefit of local communities. By working in partnership with government, the third sector, business and individuals, Menter Môn attracts funding from different sources to add value and to contribute to creating a sustainable future.